I feel like learning to eat solid food is maybe the biggest thing happening at this age. I’ve shared before that we skipped conventional baby food with Jack, but things would have gone much less smoothly without the help of a couple well-designed products. Exhibit A: the portable placemat. We like to eat out and this thing made it so much easier. Why do restaurant high chairs not have trays? If I put a plate in front of Jack it’ll end up smashed on the floor, and even though I’m as far from germophobe as they come there’s no way I’m letting him eat straight off a restaurant table. This silicone placemat sticks to most surfaces and rolls up to fit easily in the diaper bag when we’re finished. I usually give it a run through the dishwasher when we get home and keep it stashed in my car until next time. 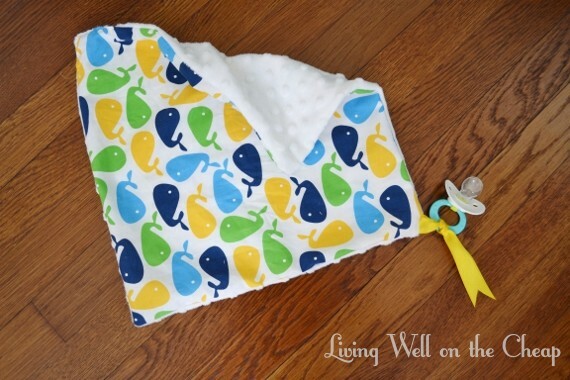 Okay, I can’t exactly attest to the quality of this bib because I haven’t gotten it yet (I placed a custom order last week), but I’ve spent months hunting for the perfect bib and I think I may have found it. It’s big, it’s wipeable, it has snaps instead of Velcro, and it’s cute. Mine will have green dots on the reverse instead of the red chevron pictured above. I can’t wait! I also spent a long time searching for the perfect cup. New research suggests that it’s best for babies to move to a straw as soon as they’re able–something about the traditional sippy spout is not great for oral development. This cup has a straw, easy to grip handles, and it doesn’t leak. Plus it’s easy to take apart and throw in the dishwasher. Winning. We use this as a high chair full time at home. I love that I can put the whole thing in the sink to scrub it down every week or two and that it’s not a giant honking high chair taking up a huge corner of my dining room. Plus it’s easy to fold up and take with us when we travel. The day a friend with an older baby suggested feeding 8-month old Jack string cheese was a total lifechanger. It’s so convenient to bring along as a snack or to take the edge off his hunger while we wait for our meal at a restaurant. I throw one in his lunch bag whenever he goes to the babysitter and brought a bunch in an insulated cooler bag for our road trip. There are other snacks I stand by as well, like bananas, Happy Baby Greens Puffs, and wheat tortillas, but these take the cake for nutrition, convenience, and deliciousness all rolled into one. To be honest, most of Jack’s favorite toys these days are basic household stuff–measuring cups, the curtain by the front door, the cats, etc. But we do have a few things we love. I’m including transportation and safety in this category as well. Jack just got this for his birthday but I’ve had my eye on it for months. We saw it at a friend’s house when he was maybe only seven months old and he was able to play with the stuff on the sides even then. It’s cute enough that I don’t mind it sitting out all the time (which is saying something) and Jack really likes it. This is another one we just got for his birthday, but again, it’s only because I was too cheap to buy it myself if I knew I could wait and get it as a gift from family. 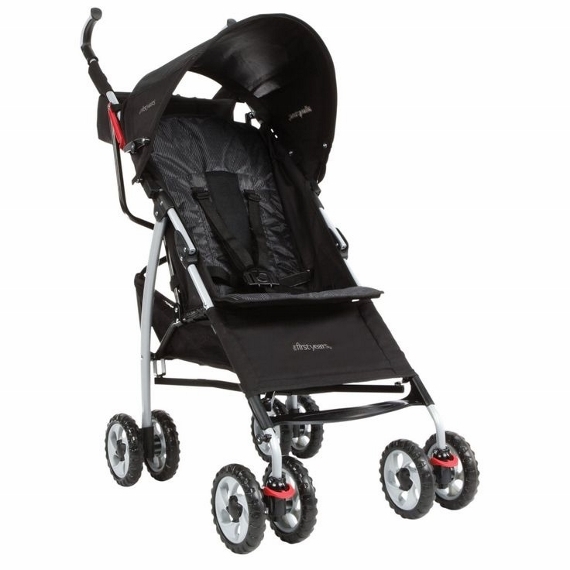 I researched lightweight strollers and found this one to be the best value for the money. It’s got a five-point harness, is super easy to navigate, and will fit him until he’s 50 pounds. (that’s not me, it’s a model. Photo from here. Before I got my new stroller I used a ring sling to carry Jack around whenever I needed to. This was great before he was sitting up well enough to use a shopping cart or whenever we went someplace that carts weren’t available. It’s only in the last month or two that he’s gotten so heavy that I don’t like using it, but I’ve heard of moms even using it to carry toddlers on their backs so maybe I’ll get some more use out of it yet. Ah, the baby gate. I was hoping to avoid them entirely. I thought maybe I’d get lucky and my baby would just not be interested in anything dangerous. I was wrong. He’s drawn to the stairs like a moth to a flame and thinks that Juliet’s food and water bowls are his personal playthings. I like that this one is on the attractive end of things, made of sustainable materials, and reasonably inexpensive. And here’s a tip for those of you with pets–I moved Juliet’s food to the laundry room but couldn’t figure out a way to keep Jack out while allowing Juliet to come and go as she pleases. I was about to order one of those expensive gates with a pet door when–Eureka!–I got the idea to just mount the gate a little bit higher off the ground. It’s high enough that Juliet can scoot under but Jack can’t. 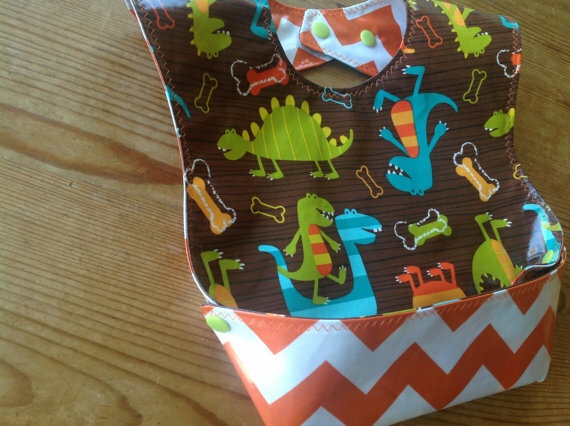 Of course, this wouldn’t work with a big lab but for our little dachshund it’s perfect. And here’s a bonus tip–if you don’t have a dog consider getting one. Juliet eats every crumb that falls from Jack’s high chair. The whole sleep thing really fell into place for us around 7-9 months, thanks in large part to the writings of Dr. Richard Ferber. Only other parents who have used the Ferber method successfully can relate to the love I have for that man. Once Jack was sleeping better the only problem we still had was that he would fling his pacifier out of the crib, resulting in a morning ritual of searching for missing pacifiers. I sewed a small blanket from some cute printed cotton and soft minky, then sewed a ribbon into the corner to attach the pacifier. We started using it over a month ago and have lost exactly zero pacifiers since. Bonus: the blanket gets in the way while he’s playing, discouraging him from keeping the pacifier in his mouth all day without me being the mean mom who takes it away. I’ve mentioned before that we use cloth diapers, but I prefer disposables whenever we travel and have found that Target store brand diapers work really well and Huggies One and Done wipes smell the best. For toys, Hape has lots of reasonably priced and cute choices. Also, I have an old laptop that no longer works that I let Jack play with–he loves hitting the keys just like he sees me do on my computer. And one last thing–the Evenflo Sureride carseat will keep kids rear-facing (which is safer) up to 40 pounds and forward-facing up to 65. It’s also pretty affordable. If you’re expecting or have a baby at home I hope this has been helpful, and if not maybe at least mildly interesting. Thanks for reading, y’all! Great list. I will keep it along with the other for my daughter who is expecting. I have that Tiny Diner placemat too, but I can’t get it to “unroll” and lay flat. Do you know what I’m talking about? It pops off the table in its never-ending quest to return to the shape in which it was packaged. Drives me nuts! I feel you on the sleep thing. Maggie was great sleeper, up until about four months. Then she was up several times a night. We got her down to one 3 AM wake-up and just could not make any progress at all. And then bam, she hit nine months and has slept all night, every night ever since. Short of resorting to drugs or concussions, I will never judge what a parent does to get the baby to sleep. I really think a lot of it just comes down to a maturity thing — every baby has to reach the point where their baby brain is actually capable of sleeping through the night and that age just varies. Yes! It only sticks to super smooth surfaces. If we eat somewhere with a tablecloth or a more textured wood table it won’t stick and will constantly roll up. For that reason I actually wouldn’t hate having an extra fisher price booster to keep in the car. Oh also, have you ever heard of the wonder weeks or the four month sleep regression? Reading about those two topics online really helped me understand what was going on, but by the time he came out of the developmental drama causing all those problems we had formed several troublesome sleep associations (like needing to be nursed/rocked completely to sleep and every time he woke up through the night). Yup, exact same story here. And it makes sense, really. There’s just sooo much going on at that age, it’s no wonder that they have trouble settling down and settling in. She also started daycare at three months, which meant that we had a couple of ear infections crop up in this time period. Not helpful! Finding out that the technical definition of sleeping through the night was really “five continuous hours” really helped me. I mean, it still sucked. But at least I knew that she was behaving in a way that was developmentally appropriate and there was nothing wrong with her.